Dance Visionary Ashley Lobo's Navdhara India Dance Theatre To Collaborate Once Again With Zawirowania Dance Theatre For ‘The Crossing’ In Mumbai! Ace choreographer and dance visionary Ashley Lobo's dance company Navdhara India Dance Theatre (NIDT) who collaborated with Warsaw based Zawirowania Dance Theatre for their contemporary piece titled ‘The Crossing’ are set to team up yet again for the second time on 17th November, 2018 in Mumbai. This performance will also mark the conclusion of their collaboration which had started with sold-out shows in Warsaw, Poland earlier this year. As part of the collaboration, Ashley will be choreographing the performance which comprises of five separate pieces along with Polish choreographers, Karolina Kroczak and Elwira Piorun from Zawirowania Dance Theatre. Consisting of Indian and Polish artists, the contemporary dance production would be celebrating the diversity and common experiences of both cultures on stage through the mystical world of dance. What's also interesting is that Ashley would be integrating the notable technique of Prana Paint™ - a unique sensitizing approach developed by him that explores movement through yoga, breath, connectivity, and touch and helps the dancer go deep within. Says Ashley, "It’s an honour and a pleasure to perform the crossing at the Royal Opera House. It is great to see this kind of promotion of alternate dance and art. The collaboration between Navdhara and Zawirowania has been both a learning and fruitful experience for all, and after presenting this performance in Warsaw, I am excited to see how the Mumbai audience responds to the works by all the dancers and choreographers involved. My deepest gratitude to the Royal Opera House and the Polish Consulate for supporting this venture." 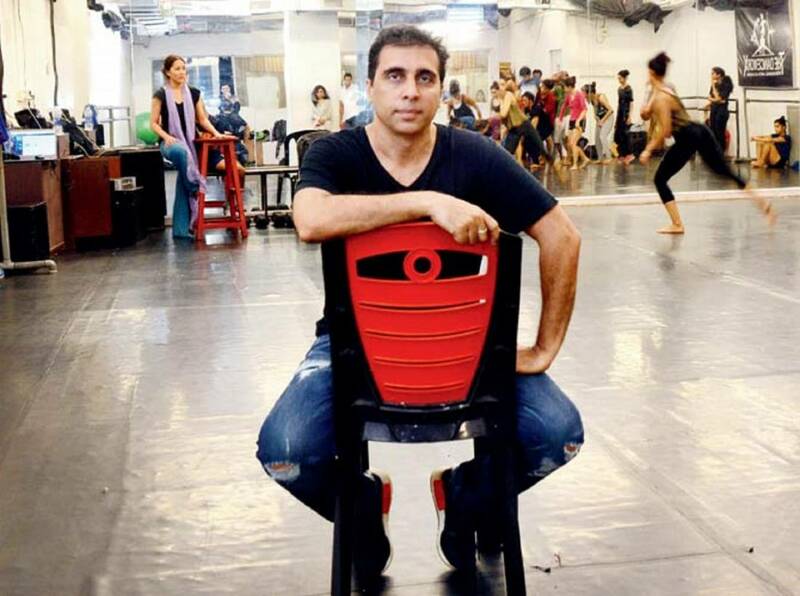 Elwira Piorun, Artistic Director and main choreographer of Zawirowania Dance Theatre says, "I'm grateful to Ashley Lobo's Navdhara India Dance Theatre, the Royal Opera House and the Consulate General of the Republic of Poland for giving us this wonderful opportunity to come to Mumbai and perform. This is the first time we will be performing this production in India and we look forward to replicating the magic of Warsaw." Zawirowania Dance Theatre which was founded in 2005 consists of dancers with various technical backgrounds, from classical dance, to contemporary and jazz dance, to pantomime. The combination of various backgrounds results in an interesting stage effect, widening the group's creative potential. Having performed overseas many times, including performances in India, Zimbabwe, Spain, Germany, France, and others, their main principle is to use contemporary dance techniques to create dance theatre performances. Ashley's NIDT had previously collaborated with Zawirowania Dance Theatre in September this year for ‘The Crossing’ in Warsaw, Poland. 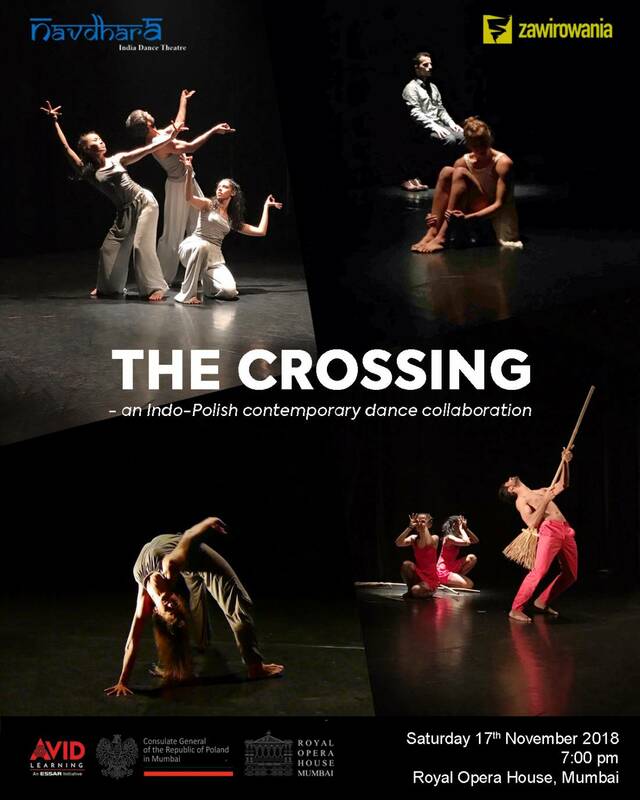 Royal Opera House, Mumbai in collaboration with The Consulate General of the Republic of Poland in Mumbai, and Avid Learning's ‘The Crossing' will be held on 17th November, 2018 at the Royal Opera House in Mumbai.